Job Description: Institutions for Inclusive Development (I4ID) is a programme implemented by Palladium, SNV, BBC Media Action and ODI UK, funded by UKAid and IrishAid. I4ID is applying new and innovative approaches to facilitate solutions for Tanzanian development that benefit the largest number of people possible – including the poor and most vulnerable in society – through inclusive growth and better public services The I4ID Program started its implementation phase in April 2017 and is running until June 2021. The programme is designed to address some of the fundamental challenges for inclusive development including coordination failures and systemic weaknesses in policy formulation and administration. We bring stakeholders together to develop an informed and shared understanding of their collective interest, providing technical support, research, analysis, and facilitation around issues of critical interest to the Government of Tanzania and other stakeholders. I4ID offers support to government, private sector, parliamentary institutions, and civil society to engage in working towards a more inclusive Tanzania. This is an exciting opportunity for a dynamic and ambitious individual to work at the cutting edge of smart and adaptive development programming, and to be directly engaged in real and meaningful change processes in Tanzania. 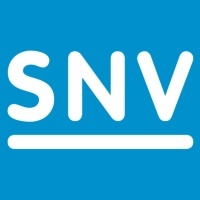 SNV is seeking a project manager/coordinator to join a team of dynamic development professionals in managing partnerships and processes with government, parliamentary institutions, and civil society contributing towards collective solutions for more inclusive economic growth. The person will take responsibility for managing strategic and implementing partners, developing and adapting collaborative approaches towards policy challenges, and ensuring high quality results are achieved within his/her area of responsibility. • Build relationships and engagement strategies with stakeholders and partners to develop and coordinate responses to identified economic growth problems in line with the issue theory of change and work plan, and I4ID programme strategy. • Support implementing partners to design and manage activities on collective action assignments for an area of activity, including developing TORs, identifying and mobilising assistance, monitoring and quality assuring work. • Work with the programme’s specialist technical advisers, to ensure that issue strategy takes account of evidence, experience and good practice, particularly relating to gender and social inclusion. • Facilitate stakeholder engagement and the development of stakeholder coalitions working in close collaboration with key partner(s). • Support the Senior Coordinator to ensure the development and delivery of areas of activity through annual strategic plans, operational work plans and budgets and other plans as required with oversight from the Deputy Team Leader. • Monitor and report against issue plans and the results framework, and ensure the completeness of collective action-related knowledge, information and documentation for the area of activity. • Provide research, analysis, information and lesson-learning on collective action work, in close collaboration with the Senior Coordinator and the research and learning manager. • Five years or more of overall work experience in participatory development and collective action programming, private sector engagement, and/or policy analysis and influencing. A degree in relevant subject matter. • Proven entrepreneurial, collaborative and participatory ways of working, good facilitation, negotiation and brokering skills. Proven ability to facilitate and build consensus is essential. • Good analytical skills for interpreting complex issues and ability to adapt activities based on the changing socio-economic and political context. • Proven partnership management skills, networking skills and ability to develop effective networks. Demonstrated ability to work with people in a persuasive, constructive manner. • Demonstrated ability to work effectively and build coalitions with private sector, civil society organizations, local and central government executive, and elected representatives. • Good interpersonal and coaching skills. • Knowledge of project management and at least basic knowledge of tools such as theory of change and M&E. This is a full-time national position with the successful candidate being contracted on a one-year basis with the possibility of renewal. Salary is competitive and commensurate with qualifications and experience and includes a competitive secondary benefit package. Submit your Cover Letter, CV and Salary History on or before 5th November 2018. if you wish to be considered for this position. All information will be in the strictest confidence. Only shortlisted candidates will be contacted.